Don’t tell anyone, shhhhh. It’s so easy it hurts, and the flavor is unbelievable. 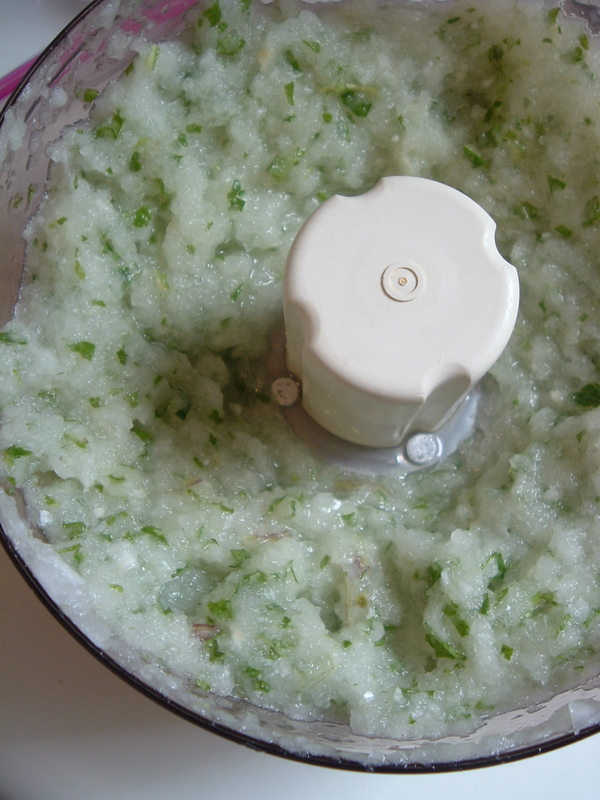 One large yellow onion, pulverized in a food processor. It must be pulverized, not chopped. A handful of herbs, like mint or parsley or oregano, if you like. Lemon is another option. Put chicken and onion in ziploc bag and massage. Let sit in the refrigerator overnight. That’s it. And it makes for juicy, tender, wonderful chicken breasts. This method is widely used for Persian kebabs. I find it more delicious with chicken than beef. I usually remove the chicken from the marinade, salt and pepper it, then grill. The onion marinade shouldn’t be used in any raw preparation, but I will sometimes add it to the rice cooking water for a nice oniony kick. Could you use this marinade with grilled tofu? I don’t see why not. The marinade times would be shortened, I think. If someone tries this, I’d love to hear about the results. I like this idea! have to try it! :) thanks! We had these last night – I added lemon zest and juice to the onion, and the leaves from one spring of rosemary. Delish, thanks! Persian kabobs are delecious. Persian food is wonderful. The marinade was really good and savory. 3 WORDS FOR YOU DAWG.CHICKEN IS BESTEST FOOD IN THE WHOLE WIDE WORLD.